We’ve been in the news! Check out what’s been buzzing about our neighborhood. Our recent Scooter Summit Panel Talk featured in SF Streetsblog: Check it out! An article about artist Chip Thomas; creator of one of the district's beloved murals on 5th and Oak St.
Underpass improvement is a central goal of the Jack London Improvement District. Since its initiation, the District has provided cleaning and maintenance at all public right-of-way areas along and under the I-880, and hosted a number of workshops, walkthroughs, and surveys to understand community priorities for improvement. Ever since Interstate 880 was constructed, it has created a physical and psychological barrier dividing Downtown Oakland and Jack London Square. 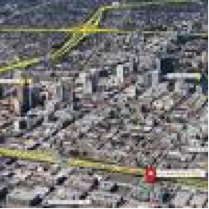 As the City of Oakland develops the Downtown Oakland Specific Plan, the Freeway Access Plan is under development, there is now more momentum towards than ever before that Oakland improves the underpass. Broadway should be a clean, safe, and beautiful link between Downtown Oakland and Jack London Square. There should be active use and pedestrian and bicycle accessibility. Improving the underpass is also key to improving access to the waterfront. We are not the first group to propose improvements to the Broadway underpass. In 1996, the City of Oakland developed a Public Art Master Plan in part to “bring light back to Broadway” and bridge the gap between the city and the waterfront at night. In 2000, Oakland spent $250,000 to construct the art at Broadway consisting of painted poles, lighting, and curved guardrails. The Jack London Improvement District has already worked with the city to do basic repairs of the electrical system and install pigeon abatement systems at the underpass. Now, it is time come up with urban design solutions for the Broadway underpass- and the 6 other gateways between Jack London and Downtown Oakland including Oak, Madison, Jackson, Webster, Washington, and MLK. 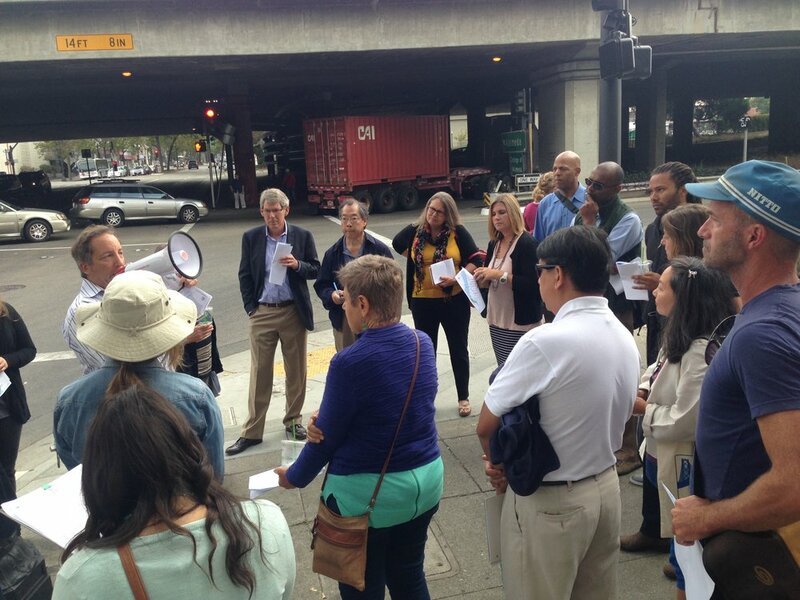 In November 2015, we convened a charette to look closely at the Underpasses and invited the Downtown Specific Plan Team, Visit Oakland, City Staff, design professionals, and other community stakeholders, hosted at Gensler's offices in Oakland. With strong community support and funding from new developments in the district, a new vision for the underpass is not just a pie in the sky. In the next few months, we will be working with these stakeholders to develop a physical design solution for the Broadway underpass. Some preliminary ideas are pedestrian-oriented lighting and pop-up retail. Design suggestions from the community are welcome and encouraged. In December of 2016, the City of Oakland released a Request for Proposals, or an RFP, to find the best talent in urban design, architecture, landscape architecture, lighting design, engineering, transportation planning, acoustics, public art and community engagement to reimagine a new future for this key area of Downtown Oakland and to develop new tools to address the many underpasses that challenge our neighborhoods citywide. Living in a residential community is not for everyone. Community members have to rely on the decisions of others. Have you ever thought that the residential community you call home would look the same until the day you die or move out? At The Ellington, many interior design and aesthetic decisions were made well before residents moved into the building. I often thought it might take a natural disaster to make change, but then I imagined the possibilities and thought that there had to be another way. When you are new to a residential community, it is hard to understand how to unravel the layers of authority to make change, but it can happen starting with a committee that provides input to the board and management of your residential community. At The Ellington, that committee was the Design Review Committee, which is a board appointed group of residents who form design recommendations for their residential community. Through discussion and well planned exercises to align everyone’s goals, an amenable outcome can be achieved with persistence and collaboration. At The Ellington, we sought to get all of the committee members to respond independently to an exercise to form the vision and then discussed those responses in collaboration. We asked ourselves a series of questions such as: “What’s it for?”, “Who is it for?”, and “What should it remind you of?”. After the committee’s survey and collaboration, the Design Committee’s call to action was to create a welcoming and inviting feeling when they arrived on those floors with a focus on an art experience. At The Ellington, we already had a solid list of local artist works in the collection and we decided to grow that collection for the floor renovation project. A pool of artists’ works were presented, then reviewed and rated by the committee members according to how they met the vision for the renovation. Six works were finally selected for the project floors. Lighting for the art and benches were chosen to underscore the artworks. The Artists chosen were Jeannie O’Connor, Catherine Courtenaye, Bonnie Neumann, Rodney Artiles, Tallulah Terryll, and The Artist Hines, all with studios in the Bay Area. The committee celebrated the successful outcome with a reception for the artists. Five of these six artists were able to attend the event. 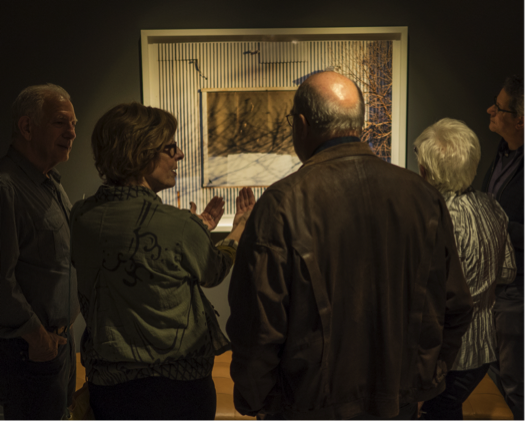 Residents had the opportunity to learn about the inspiration of the artworks directly from the artists and appreciate the value added to their building and homes. (OAKLAND, CA) — Leaders in Oakland's Jack London District are cracking down on crime and keeping its streets clean all at the same time. Wearing neon green uniforms, maintenance and safety ambassadors are walking the streets clean up the area as well as provide a very important service. "They'll provide safety escorts between any two destinations in the district. They interact with people smile greet them," says Savlan Hauser Executive Director of Jack London Improvement District. The ambassadors program came to Jack London District a little more than two months ago. They patrol from Sixth Street down to the water and from Brush to Fallon Streets. The purpose is to help beautify the area, as well as make people coming to Jack London feel safe. The nonprofit program is run by Jack London Improvement District which was created three months ago. It's based out of the former Urban Blend Cafe on Broadway. There hours of operation are from 6 a.m., until 11 p.m. So far crews say they have picked up more than 34,000 pounds of trash, cleaned up more than 7,000 graffiti stickers and have had interactions with more than 11,000 people. The ambassadors are also working to improve the Interstate 880 underpass. They also provide services to those in need by having regular engagement with the homeless. The ambassadors say just by simply being in the area, its deterred break-ins. "A lot of times folks tend to get dropped off and start casing cars. So a lot of times ambassadors start noticing this behavior and they'll just roll by. A simple presence of a radio and a bright shirt have people thinking twice," Carlos Paz of Jack London Improvement District. (JACK LONDON, Oakland) Here's the project description from Developer: The Austin Group LLC is pleased to present The Mirador (n. a turret or tower attached to a building and providing an extensive view) a proposed mixed-use project at the key corner of Broadway and 2nd Street in the Jack London District of Oakland . It is a goal of the design for the project relate to the imagery of the existing Jack London fabric while making its own unique statement. The Mirador consists of ~3,000 sf of ground level, street retail and six levels above consisting of 48 two bedroom apartments. The project also includes car stacked parking of ~48-62 potential car stalls, including electric car charging options. The seven story project is anticipated to be ~85’ tall with a roof deck garden to provide opportunity for resident gathering and take advantage of the beautiful views. It is also contemplated that a condo conversion map will be placed on the project. Architecturally the current design cues come from the surrounding Jack London neighborhood, including used brick, board form concrete, stucco and metal windows and balconies. Another important project design element is the prominent elevator tower just around the corner on 2nd Street that will be open from the ground level to the seventh floor terminating with an architectural metal element on the roof. An exciting pedestrian experience has been envisioned, incorporating a rhythm of architectural forms, with metal garage doors opening to the public sidewalk…to engage the pedestrian traffic and the building. Lastly, the goal of this retail design is to pull residents, pedestrians and visitors from Embarcadero up Broadway and enhance the retail environment for these 2-3 blocks. If Thursday is the new Friday, then Jack London Square is the new Pier 39. Happy hour is suddenly a happening place at old stalwarts like Scott's and Kincaid's, with newcomers like Plank and Forge driving the traffic. It's pretty cool what the new owners have done with the old Barnes and Noble. Plank has mass appeal with its center stage bar flanked by an arcade, bowling alley and enough large-screen TVs to make it a legitimate hangout for sports fans. Outside, the feel is unquestionably Oakland with a beer garden, bocce ball and a playground for tots. Waterside at Kincaid's, the cocktail crowd sips basil gin martinis as kayaks and crew boats slip past the picture windows. Over at Scott's, the live piano sets the mood with cool jazz as the waning sun sets over the estuary. Scott's has happy hour all evening, which I think is great -- not that I'd sit there all night, mind you. So Jack London Square is really starting to sizzle again. Now if they could just fill the long-shuttered retail spaces. The Jack London Improvement District has been inviting input from the public through a series of panel talks. Their goal is to create a destination with "flourishing businesses, vibrant events and a high quality of life." Oakland, CA – HP Investors, LLC announced that it had completed the acquisition of a 9,115 square-foot retail property in Downtown Oakland’s desirable Jack London District. Acquired by the firm’s recently opened Oakland office, the Property is HP Investors’ 25th acquisition in the past 48 months and represents its first in Oakland. Encompassing over 150 linear feet of frontage along Broadway between 2nd and 3rd streets, the Property represents the ground floor component of The Ellington, a 134-unit luxury condominium developed in 2009. The Property, which was purchased fully vacant, includes dedicated parking spaces, 30 foot high ceilings and can be demised in a single or multi-tenant configuration. The firm has hired Erika Elliott and Ramsey Wright of Colliers International to market the property to prospective tenants and is working with the Jack London Improvement District to highlight the Property’s location attributes. “The waterfront development, Jack London Square, …is just starting to reach the level of density and foot traffic that would support tenancies in these spaces. So we felt we were a good match for an art use that was seeking a home.” For the Jack London Improvement District, the museum is an opportunity for economic activation, absolutely. In fact, it may be a little late in coming: Retailers and restaurants are already starting to pour into the area. The Museum of Capitalism also represents an artistic tradition that has disappeared from other parts of Oakland. Berkeleyside, November 16th, 2017 – Will Jack London Square live up to its potential as Oakland’s Food Center? – …Savlan Hauser of the Jack London Improvement District has a more optimistic outlook. She considers the recent closures and relocations as not so much a loss for the district as a “changing of the guard.” “Much like the rest of Oakland we’ve seen an enormous growth in the number of bars, restaurants and young businesses that have opened. The New Yorker- August 18th, 2017- What Would a Museum of Capitalism Look Like? KALW Public Radio: The Museum of Capitalism won’t ignite a revolution, but it’ll sure make you think. “We just love seeing vacant spaces activated, and bringing new people to the district who wouldn't ordinarily visit,” says Savlan Hauser, the Jack London Improvement District executive director. A 48-unit housing project in Jack London Square has started construction, adding momentum to Oakland's housing boom. 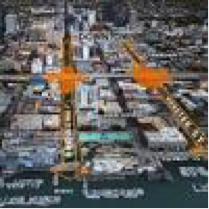 ... "We know development is crucial for the vibrancy of the district," said Savlan Hauser, executive director of the Jack London Improvement District, which promotes economic development in the District. “This proposal is really aligned with the community development vision and invests in common areas and, most importantly, public access and Oakland's access to its own waterfront by activating the ground level,” said Savlan Hauser, executive director of the Jack London Square Improvement District. 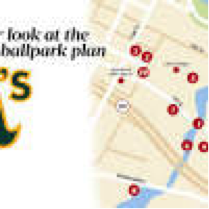 SF Business Times: October 6, 2017: Could a downsized Ballpark be a Hit? …BART director Robert Raburn said at last month's panel, assembled by the Jack London Improvement District. In a segment hosted by Great Big Story, we learned that the Oakland Zookeepers make use of Jack London's Wholesale Produce Market. In the video, we follow Stacy Kyles the Commissary Supervisor for the Oakland Zoo, as she shops for her very picky eaters. Did you know the Zoo prepares nearly 1000 separate diets every day? The Wholesale Produce Market in Jack London turns 100 this year. Many Oaklanders may not even be aware of its existence as it only operates at night and the wee hours of the morning. We're proud to see this historic market thrive and excited to see its value to the community. The Oakland Portal's elaborate Beaux Arts façade conceals eight massive fans that draw in fresh air and expel foul air to prevent carbon monoxide buildup in the George A. Posey Tube, an underwater automobile tunnel that runs under Harrison Street between the cities of Oakland and Alameda. One block west sits the Webster Tube Portal, a 1963 structure that serves the same function as the more decorative Oakland Portal. At the time of its construction, the Posey Tube was the largest underground tunnel in the world. George Lucas filmed a scene in the tunnel for THX 1138, Lucas's first feature film. The tube replaced the Webster Street Bridge to Alameda, allowed industrial development of Oakland’s Inner Harbor, and appeased restless divers tired of waiting for water traffic. The Portals (its twin is on the Alameda side) house ventilation equipment, eight huge fans, to exchange stale air for fresh in the tube. One visitor remembers leather belts operating machinery for the fans that looked like industrial strength hair dryers. It was the first underwater tunnel in the world constructed entirely of reinforced concrete. Forms were towed by tugs from Hunters Point in San Francisco. Art Deco in style, each portal has a three-story central section flanked by two hip roof towers, connected with a huge arched industrial sash window (now painted over). Two side piers, with vertical arched openings and decorative grillwork, create a stepped effect. 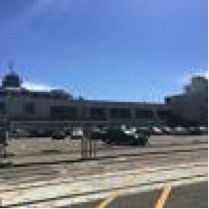 Caltrans will perform a historical renovation of the Posey Tube portal buildings and replace the pedestrian handrail inside of the tube. The work will include sandblasting and repainting the buildings, historical renovation of the sidewalks leading up to the portal, and retrofitting the inside of the building. Other work includes installing CCTVs, organizing signs and replacing cobra head lighting with the original historic lighting at the entrances of the Posey and Webster tubes. Work will take place at the two portal buildings, in Alameda and in the Jack London district of Oakland. In Oakland, scaffolding around the Posey Tube portal building will block parking adjacent to the building along Harrison Street and both sides of 4th. Also, the sidewalk behind the building will be blocked. A Pedestrian Detour will be provided. Pedestrian and bicycle access through the Posey tube will be blocked from February to May. A shuttle will be provided and signage indicating how to contact the shuttle will be posted at both entrances to the Posey Tube pedestrian walkways. The project is scheduled to start construction in January 2016 and to be completed in July 2016. Stationary mounted signs and changeable message signs (CMS) will be strategically placed to provide information regarding the project’s closures and detours.